Use the Kaptivo whiteboard camera to improve remote collaboration and streamline whiteboard image capture without changing the way you work. 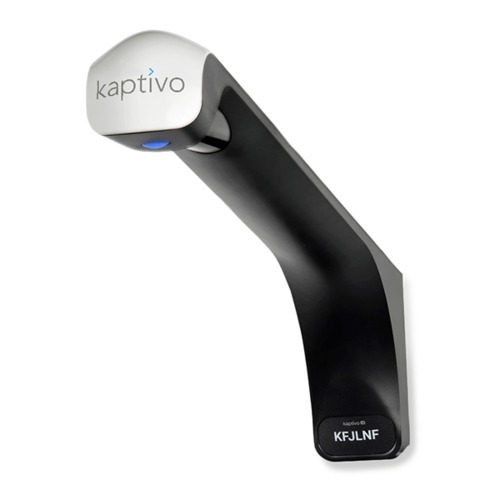 Kaptivo, which attaches to the top of any whiteboard, automatically saves images and shares content in real time via livestream or video conference integration. The images are instantly enhanced to remove any reflections, glare, and people blocking the board. Kaptivo transforms the economical whiteboard, found in nearly every office or classroom, into a powerful collaboration tool. Share any whiteboard with students, staff, and colleagues with Kaptivo. The modern education system relies on technology. But many students, researchers, and educators still need to use standard, convenient tools such as whiteboards to teach, learn, and collaborate. It’s time to merge the simplicity of the whiteboard with the power of technology. Kaptivo, a camera that attaches to any whiteboard, automatically saves images and shares content in real time without changing the way you work. Kaptivo instantly enhances the image to remove any reflections, glare, or people blocking the board. This easy-to-use device transforms your economical whiteboard into a collaboration system and enhances lecture capture to improve knowledge retention and facilitate student success. Enable students to focus on the discussion, not note-taking. Automatic whiteboard image capture lets participants write normally and share the content for review, reference, or audit. Appeal to students’ individual learning styles and abilities, or pair with flipped-learning strategies to ensure students have access to the content they need, when they need it. Learn better together through collaboration with students and experts across campus or around the world. Access whiteboard content in real time or after the session, from any device, anywhere. Live stream your whiteboard via browser or video conference system, with no downloads, apps, or plug-ins required. Invite anyone, anywhere, on any device. Automatically capture every whiteboard image for vibrant, optimized PDF download and distribution. No glare. No people. No obstructions. Forget complicated interactive whiteboards. Easily install the sleek camera above your current dry-erase board and use as normal. No change in workflow! Make your budget go further. Cost-effectively upgrade your offices, meeting rooms, and classrooms for a fraction of the price of one interactive board.